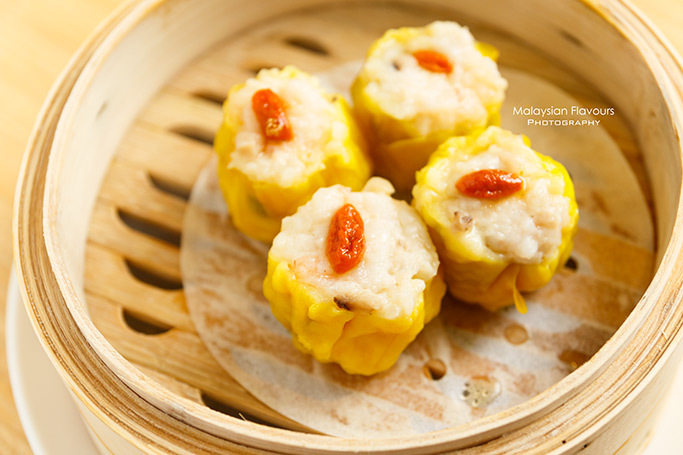 Tim Ho Wan 添好運, the famous Michelin Star Dim Sum from Hong Kong is finally here at Malaysia! 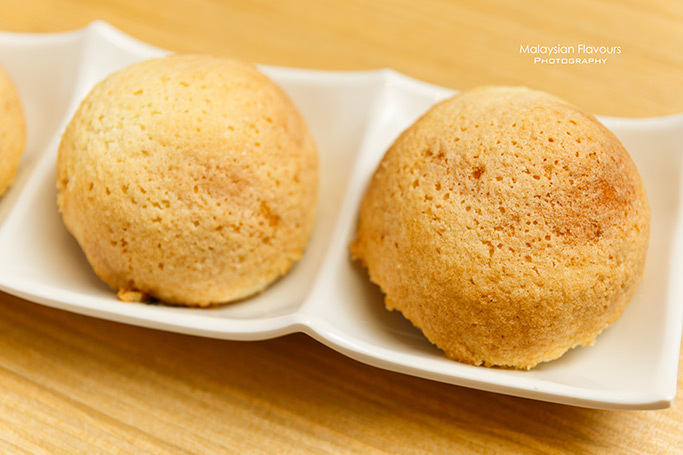 Forget about having to travel far and beat the queue to indulge in Tim Ho Wan delicious dim sum, just make you way to Mid Valley Megamall Kuala Lumpur! 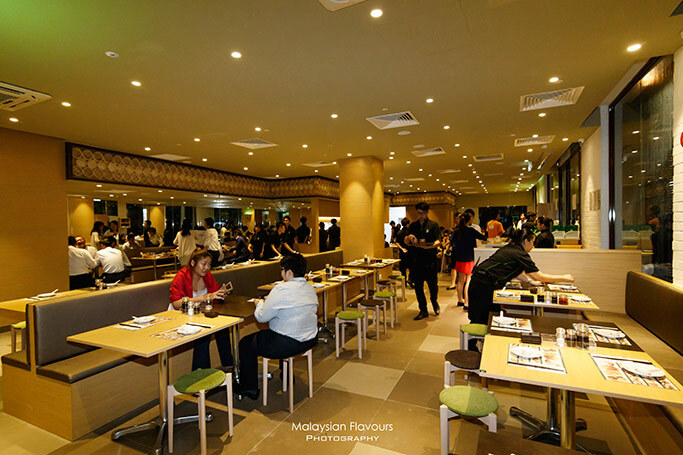 Replacing the former Blu Med Restaurant at Mid Valley Boulevard, the entrance between Mid Valley and The Gardens Mall, just directly next to the fountain, Tim Ho Wan strives to be the next hit in this area after Magnum Cafe Malaysia. 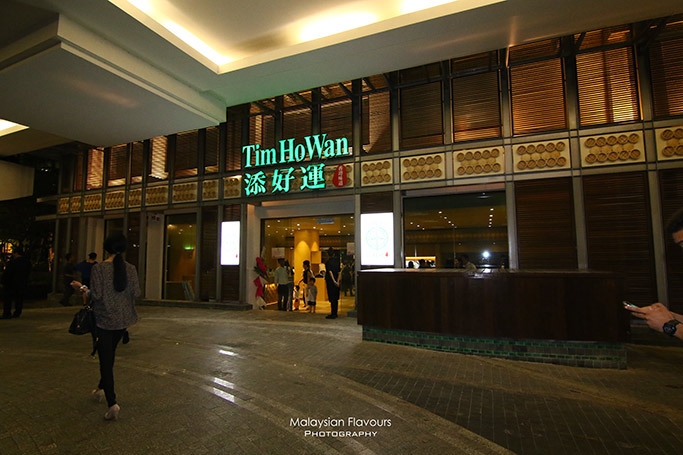 Tim Ho Wan Malaysia menu isn’t extensive, but covers in complete by highlighting their signature dishes under Big 4 Heavenely Kings 四大天王，accompanied by a range of steamed dim sum, deep fried items, rice in bowl, vermicelli roll, congee and desserts. 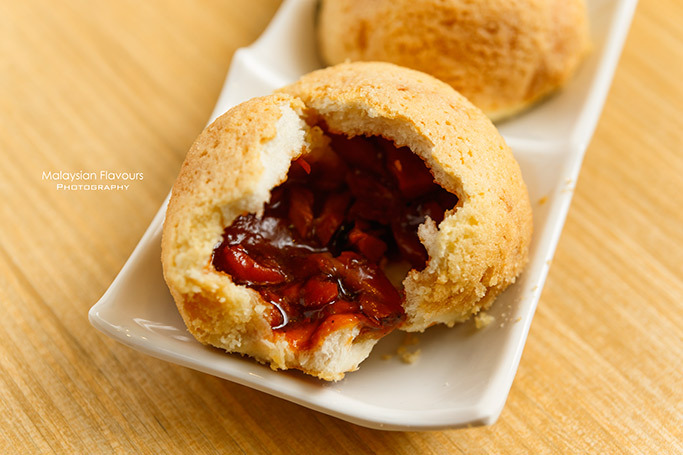 Do not leave Tim Ho Wan without trying their Baked Bun with BBQ Pork. 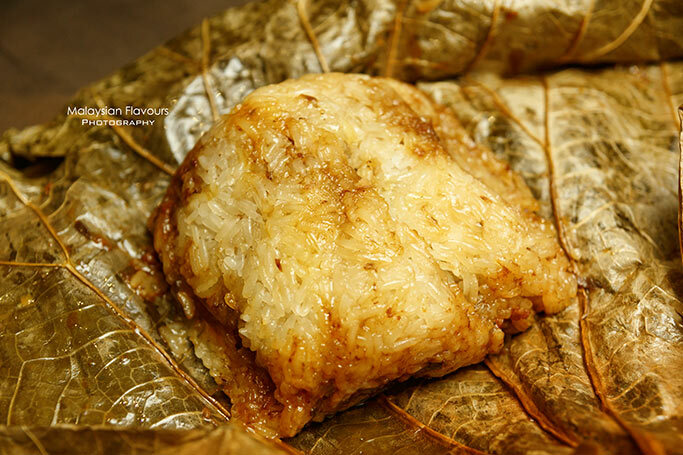 Sick your teeth into crispy, crumbly outer layer, coating the fluffy soft bun, encasing gooey, moist pork filling that will drive you to pick up another one, or two before reaching for the next dim sum. Must-have! Classic favourite which always scores for its light, airy, cotton soft texture. 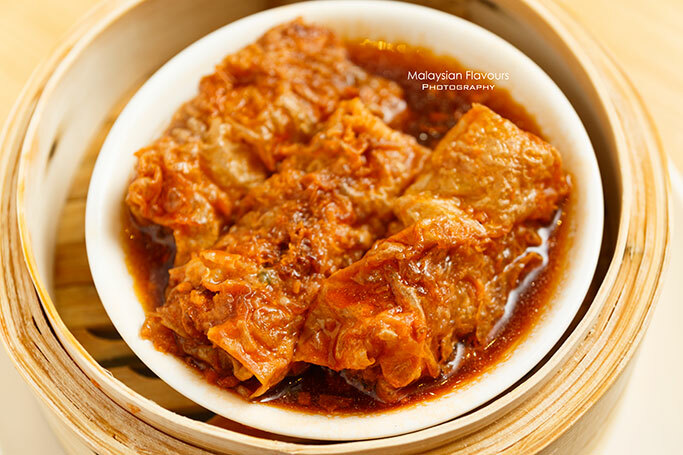 Tim Ho Wan gets it right and it deserves being one of the Top 4 dim sums in this restaurant. If Vermicelli Roll with BBQ Pork or Vermicelli with Shrimp are too common for your liking, go adventurous by ordering Vermicelli Roll with Pig’s Liver. 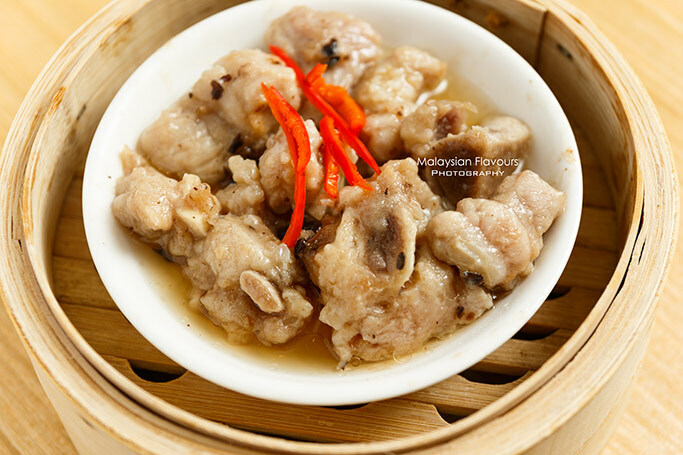 Pig’s Liver, or more known as “zhu yun豬潤” is widely found in Hong Kong but not in Malaysia. You may end up enjoy having the gamey, coarse liver’s pate-like texture with silky smooth rice roll, or not. 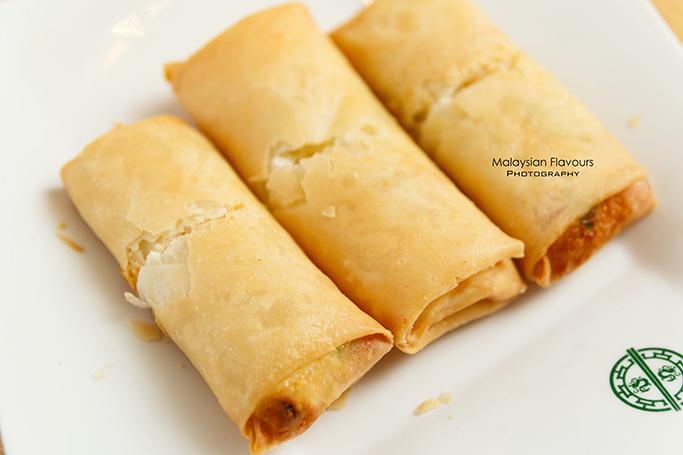 The simplist version of vermicelli roll, yet turns out to be Summergirl’s favourite. 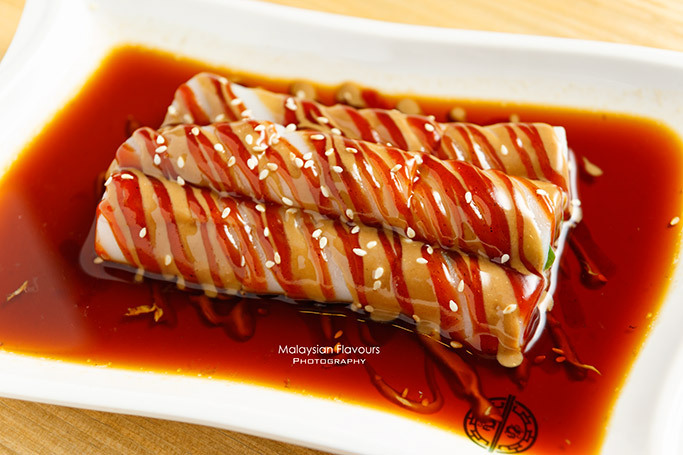 Plain, chewy rice roll dressed with a bed of creamy, peanut butter-like sesame sauce, further laid with savoury soy sauce to reach for an unexpected, surprisingly good concoction. Smells so nice once it is served to our table, tastes as wonderful. 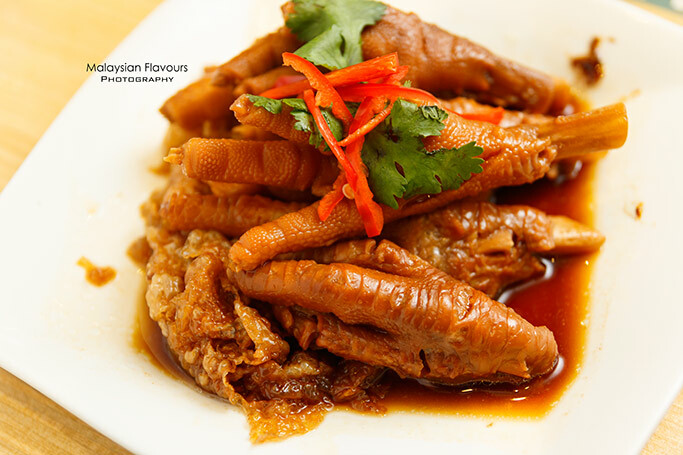 Each and every chicken feet is deeply infused with essence of abalone sauce, addictively sweet and flavourful. 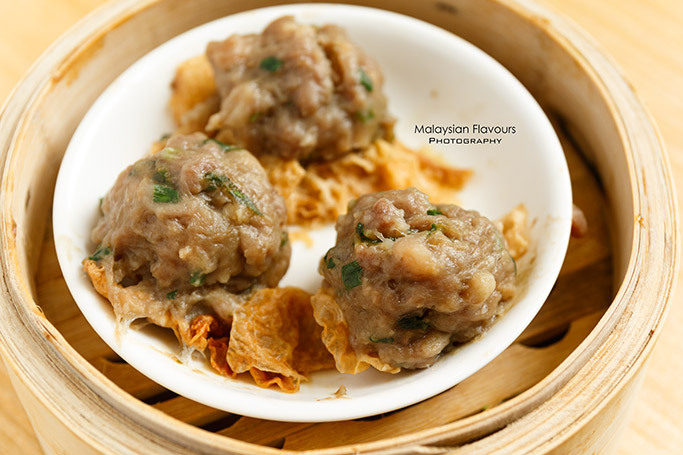 Tim Ho Wan Siu Mai is decent, juicy and fresh minced meat complemented by plump prawns. 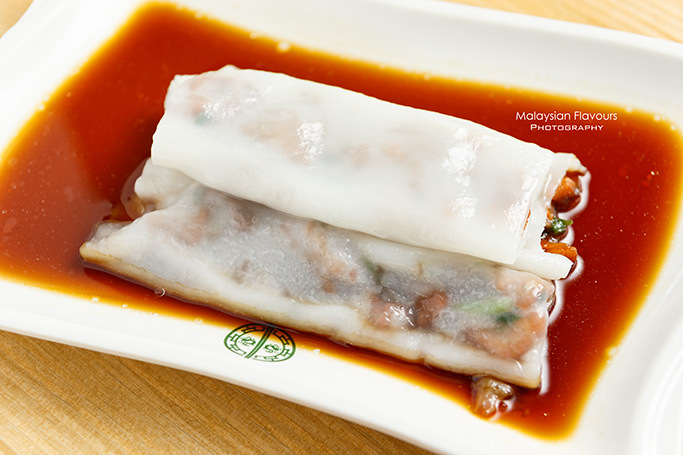 Pork and shrimp filling rolled in beancurd skin, drenched in a bed of savoury sweet sauce. Mediocre. 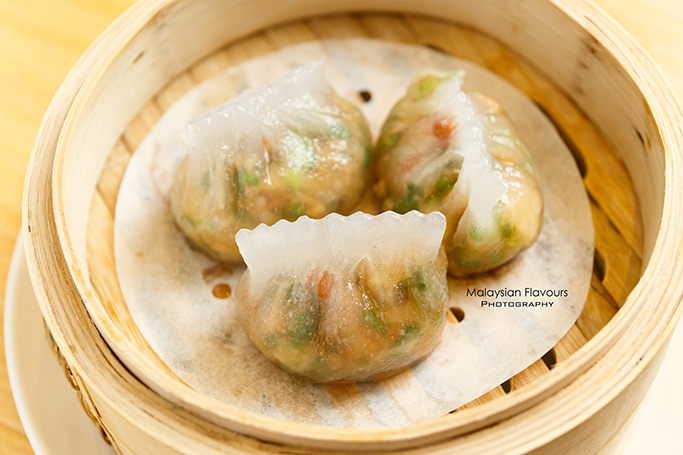 Creaminess from spinach, bounciness from prawns, chewiness from dumpling skin- all sum up to mouthful of textures in this steamed item. 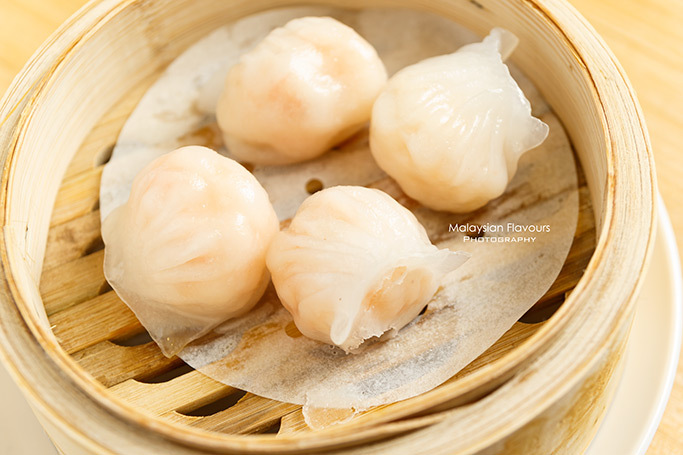 Dumpling Teochew style is worth ordering too, as it pays a contrast with Steamed Spinch Dumpling for having extra crunchiness of nuts and vegetables within chewiness of dumpling skin. 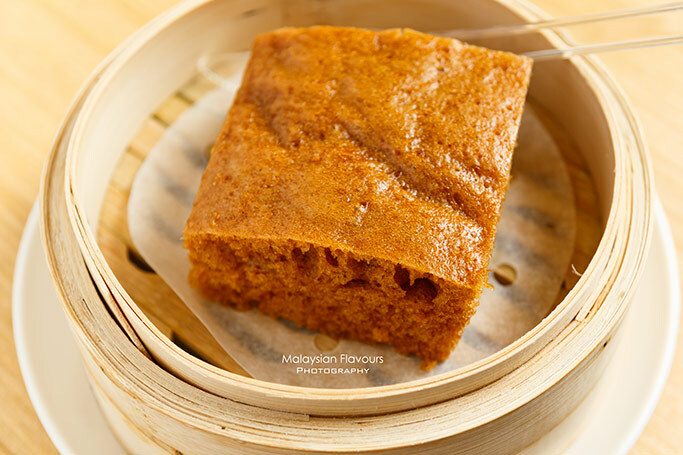 A noteworthy try in Tim Ho Wan, as we seldom come across this in our local dim sum fares. 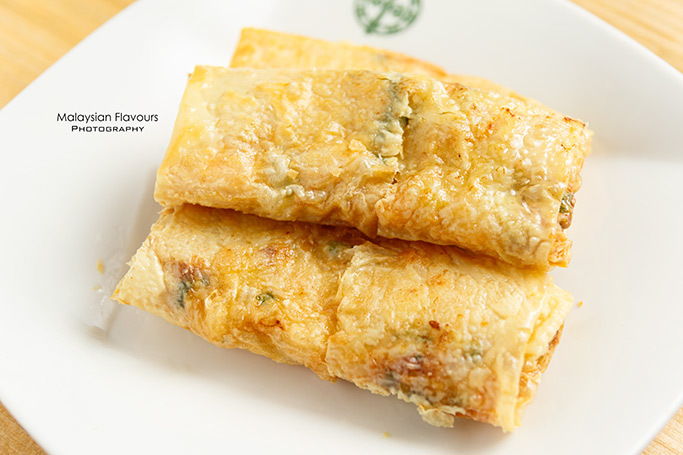 Instead of wrapping in shredded turnip, jicama or carrots to resemble popiah delights, Tim Ho Wan fills the spring roll with egg white. Less texture, more interesting flavours. Our favourite from the Deep Fried menu. 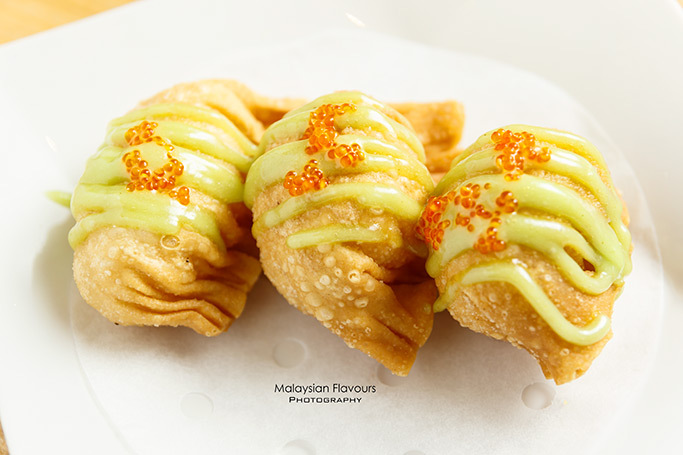 A fusion of Chinese and Japanese, featuring fresh prawns wrapped within dumpling skin, deep fried to crunchy golden brown and drizzled with wasabi mayo and fish roe for a pungent, exotic touch that instantly flavour up this deep-fried item. 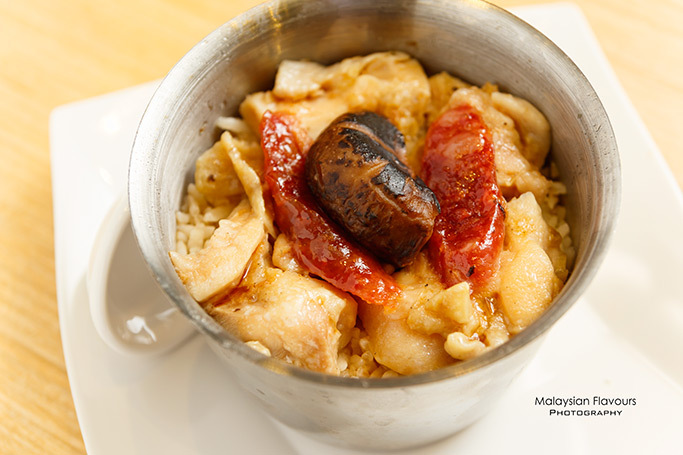 For diners who seek for a more fulfilling meal in Tim Ho Wan, check out their rice choices which has an option of Rice with Beef & Fried Egg, Rice with Chicken, Sausage, Mushroom and Glutinous Rice with Lotus Leaf. 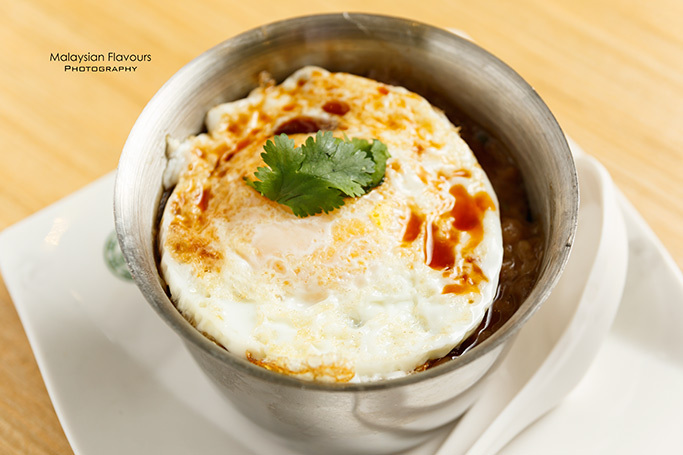 Rice with Chicken, Sausage and Mushroom tastes closer to our local flavour, generally accepted; but for Rice with Beef & Fried Egg, perhaps it takes time for locals to appreciate the flavours. There are only two desserts on the menu list and we suggest diners to order both. 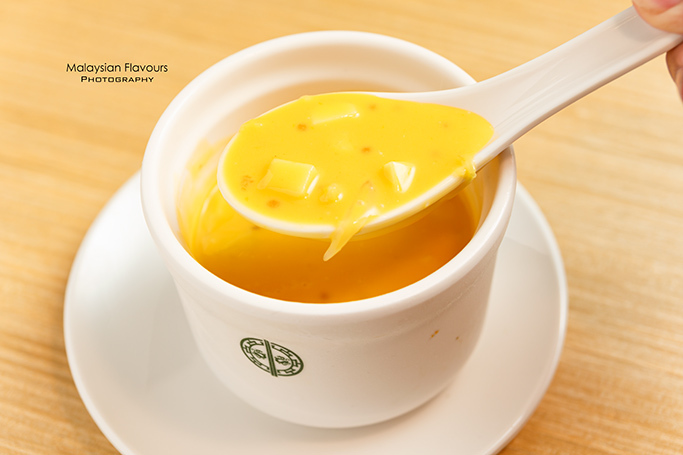 Mango Sago Pomelo helps to clear the greasiness from your dim sums, thanks to its cooling sweet, velvety smooth mango puree with popping crispiness from pomelo sacs. 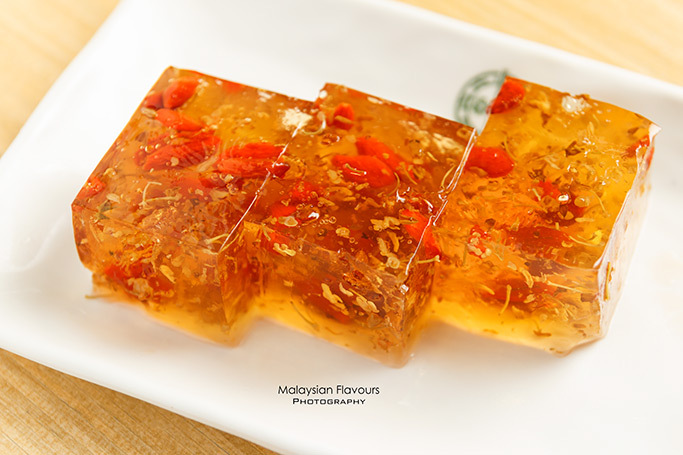 Put your meal into a sweet ending in Tim Ho Wan with Wolfberries Osmanthus Cake, a refreshing jelly pleasantly lingered with floral scent of Osmanthus. Wow! One dish of DimSum costs about 9 bucks including taxes. It is really overpriced!